Let’s play “Spin the Globe” again and meet a Spanish teacher who is game for using multimedia tools and tricks to catch and keep students’ attention. Luis Cortes likes to surprise students. Look at that face! Luis Cortes (shown in my blog pic here) has a smile that shines and eyes that sparkle, as if to say, “Come on, it’s time to play and learn!” You just know when you talk with Luis that his students love him. According to this Puerto Rican native, the interactive experiences Luis shares with the kids he teaches are his main draw…along with his effective blend of fun and seriously functional approaches to his subject. 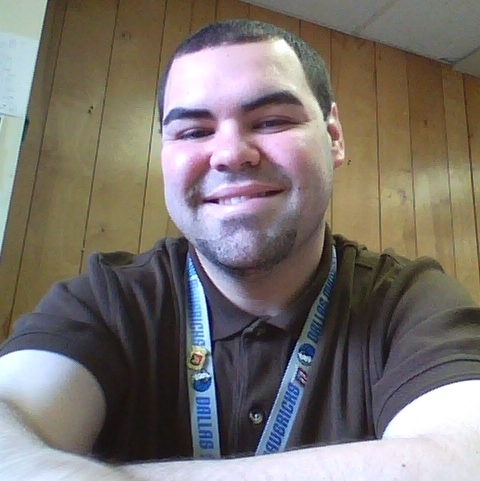 Luis travels from classroom to classroom serving up Spanish language instruction to children in grades K – 5. “It’s important to note,” Luis details his teaching strategies, “that my students and I play a game first. Then I ask them why we’re playing. That’s when I spell out what I want and expect the kids to learn.” Luis uses variations of games he learned when he was a child in Ponce, his hometown in Puerto Rico. 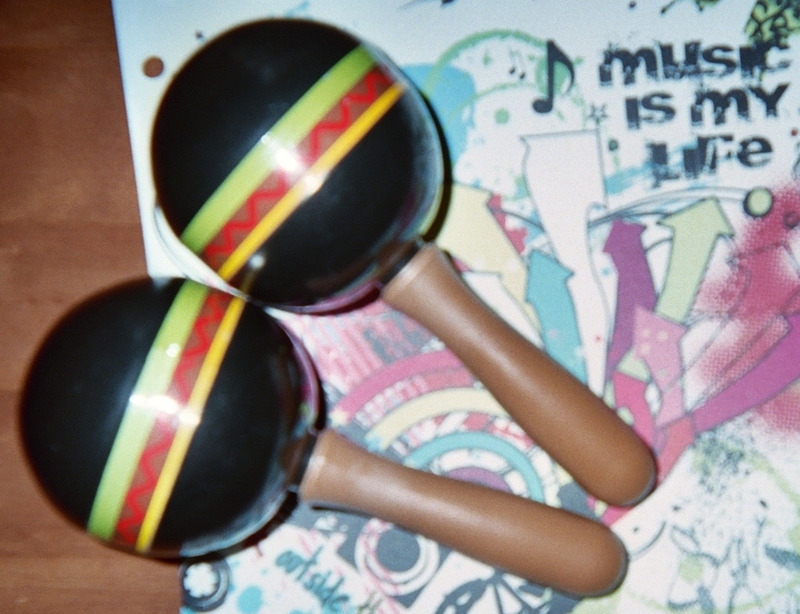 Maracas help teach the rhythm of a language. that Luis teaches when his students are learning about the rain forest. NOTE: Luis plans his Spanish lessons to coordinate with each grade level curriculum at any given time of the year. The song is about a tiny melodious tree frog found only in Puerto Rico. To find the song, Google Puerto Rican children’s songs. Like Luis, I’ve taught this song to my young students, which is to say that other than Spanish teachers can use this entertaining and educational trick. Luis uses Prometheus boards to show Spanish videos. 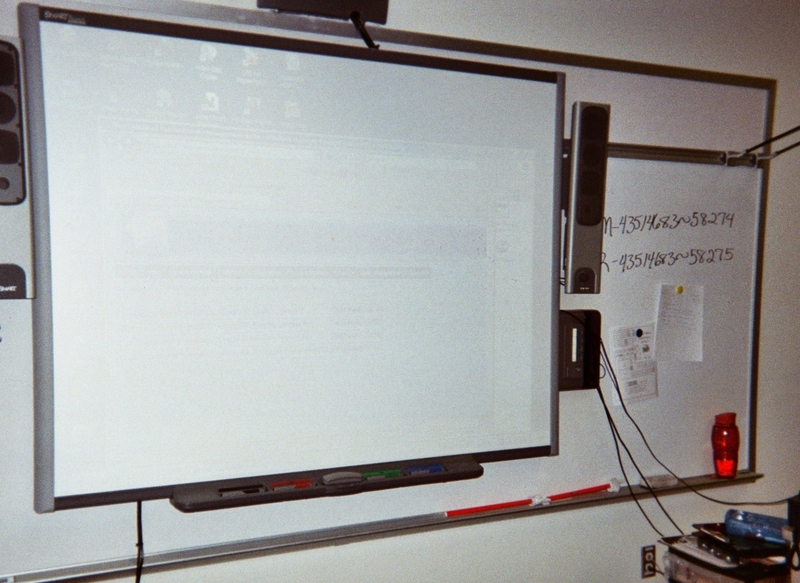 Imagine what Luis can do with a Prometheus Board, an interactive screen with computer, like you see in my blog pic here. Luis projects age-appropriate videos for his K – 5 classes, including some that he can access on YouTube, to help kids develop fluency in Spanish. Luis models conversations in Spanish and students follow suit. When kids repeat Luis’ creative character conversations – he calls them “acts” because he knows from experience that theatrical tricks are effective attention-grabbers – Luis records the children. They speak into a microphone – an attention-ology trick itself – and listen back. Luis reports that kids’ confidence levels skyrocket when they hear themselves speaking Spanish at playback time. His best teacher? Ms. Santiago, his Spanish teacher in sixth grade. Luis remembers not just the what but also the way she taught the class. “Ms. Santiago was very calm and organized; she had many resources and she was supportive in a personalized way.” Building strong relationships is key, Luis believes. He models that belief in his work with students and teachers. 1 Pings/Trackbacks for "International Festival of Attention – Grabbers – Puerto Rico"